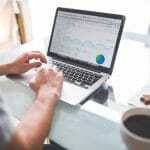 Tools to Find Long Tail Keywords In Any Niche – Who doesn’t want to rank top on search results or to get great traffic? Do you know how to achieve it? Well, when this question arises people come up with number of answers like good optimization or on-page SEO. But the one major factor that is essential for good ranking is the long tail keywords. Do you actually know what long tail keywords are or how to find them? In this post you will get the answer for all your questions. We will tell you the best tools to find long-tail keywords in any niche. Long tail keywords are best for small businesses as they have less competition. Therefore, now kits high time to use the long tail keywords rather than direct keywords. Before going any further understand the why long tail keywords are important. What are long tails Keywords and their benefits? Let me explain this term by giving example, there are two keywords first is long tail keywords ir second one is direct keywords. The direct or short keyword like the ‘blogs’ are very hard to make rank good over search engine while the long tail keywords such as ‘Which are the best blogs of 2017’ is comparatively easy to rank good. Google Auto Suggest one of the best tool to find the Long-tail keywords in any Niche and that’s to for free. Isn’t this amazing? Not only does this but you can also download the keywords in .csv format. If you are looking forward to use Google search to get an idea for find the long –tail keywords then this is definitely the best tool to be used. Another famous tool to find the long-tail keyword is the WordTracker Keyword Tool. This provide very good results and used by many professional to get the best results. 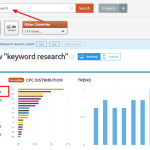 This tool is free and provide the results of 100 keywords results at a time. 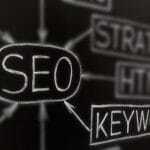 Keyword Tools provide the long-tail keywords that are typed by the people on Google search. This is one of the best tools to get the best keyword for good ranking. Users can find the long-tail keyword of any niche on this tool. 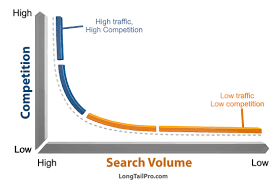 Though Long-Tail pro it is paid tool but it provide the best and a very effective results of long-tail keywords. By using this tool you can keep a check on your competition as well. It will show you the top 10 pages that are currently ranking on top for your target keywords. 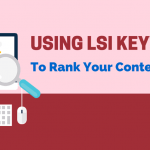 Apart from this, Long tail pro also checks the rank and thus, you can check where your article ranks by using this tool. Answer the public is another best tool that you can use to get the best long-tail keywords. You will get unique proposition on this tool. By using this tool you can get the keyword of any niche. Apart from it this tool also shows the common questions asked in search engine related to keyword that you have picked. The other best thing about this tool is that, it is free of cost. We hope this post help you and served your purpose. In case you have any doubt, get best suggest from our experts by commenting below.